RUGGEDLY BUILT, BEAUTIFUL POOL STEP DOUBLES AS A GREAT SEATING AREA FOR KIDS & ADULTS. FOR ABOVE GROUND POOLS. NO EXTRA BALLAST REQUIRED!! Super-strong injection molded ABS construction that will not flex or buckle like blow molded steps. Holds over 500 lbs! No weights are needed as ballasts. Removing and installing the step each season is quick & easy. 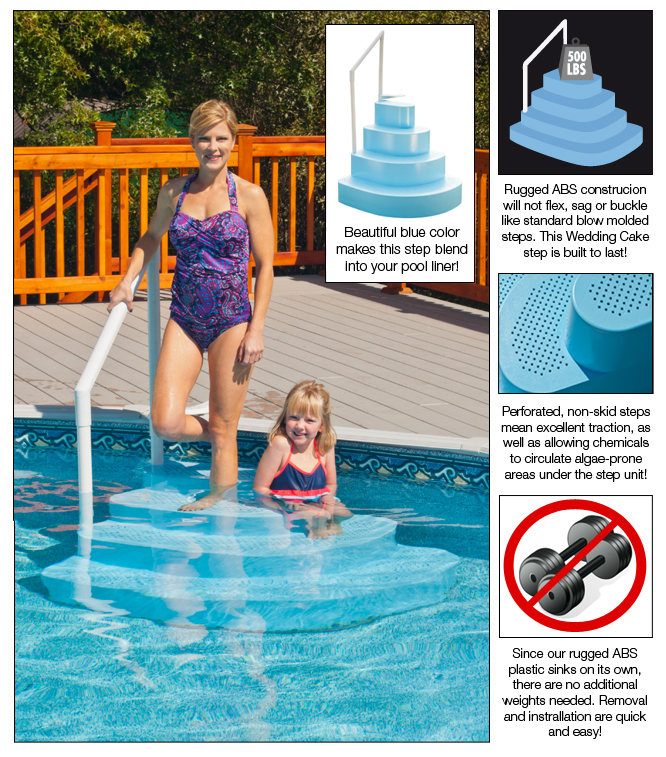 No wading through cold water in the fall to remove weights as with blow molded steps.